2017 - New precision engineering facility. Over the last year we have invested in refurbishing our entire engineering facility the layout is now condusive to lean manufacturing, ensuring our customers receive top quallity components at cost effective prices. This has also helped with speeding up lead times. 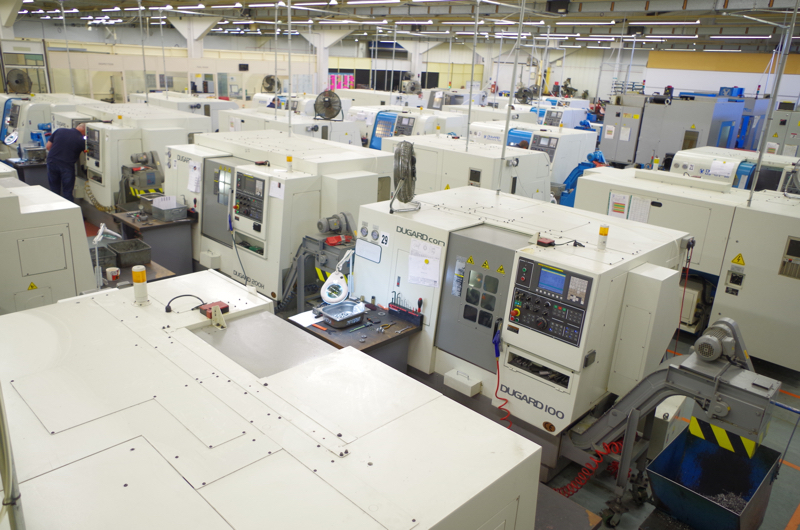 September 2014 - New machining Night Shift leading to even further rapid response times. Hele Bay Precision have recently opened up a night shift over 4 nights of the week with three engineers. 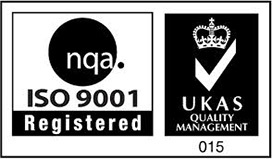 This now means we can provide our customers with faster turn around times on quality machined components & parts needed. 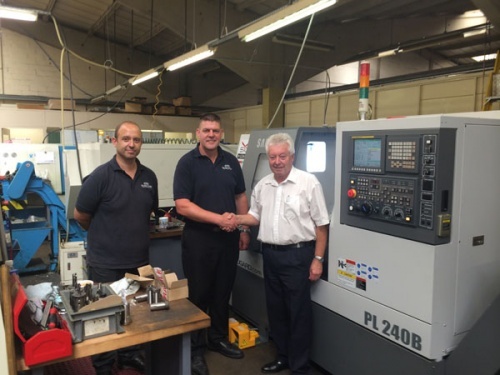 Due to further growth and the need for even faster rapid respond times, Hele Bay Precision have recently invested in a new Dugard Samsung PL240B CNC machining Centre. Below, you will see a picture of "Nick Tamlin" & "Neil Rawlins" (Company Directors at Hele Bay Precision) meeting "Richard Starzec", representative of Dugard machine tool. Hele Bay Precision looking into having in-house capabilities for an all purpose gel that locks, seals and retains threaded joints. Loctite / Pro Lock Tight can lock nuts, bolts, screws and studs and can lock adjusting screws in any position, thread 1/8 inch to 1-1/2 inches. 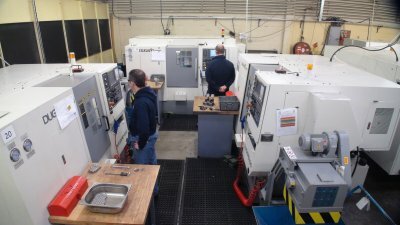 Due to the growth of our rapid reponse precision machining cells, Hele Bay Precision are happy to announce our latest investments in 2 X Dugard Eagle 100 CNC lathes and 1 X Dugard Eagle 200 CNC Lathe.